Sinn Féin MLA Pat Doherty ran up a bill of almost €20,000 on printer toner cartridges in two and a half years at Stormont. 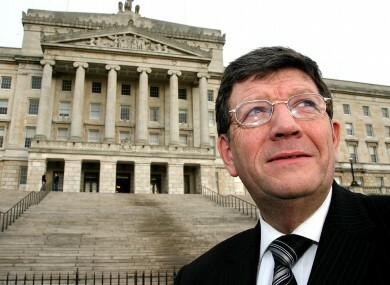 A SINN FÉIN politician ran up a bill of over £16,000 – around €19,700 – on printer toner cartridges in two and a half years at the Northern Ireland Assembly in Stormont. West Tyrone MLA Pat Doherty went through 185 cartridges at a cost of £16,300 in thirty months, topping a list of ink usage by Northern Ireland politicians compiled by The Irish News. The value of the cartridges used by Doherty was more than twice that of the next highest user of print cartridges, SDLP MLA Thomas Burns who used £7,500 worth of cartridges. Doherty, who served as vice president of Sinn Féin for more than 20 years before Mary Lou McDonald took over the position, used 93 top-of-the-range cartridges at a cost of £11,726 in just one year. He also stocked up on 20 cartridges costing £451 in the space of just one month earlier this year. Assembly members in Northern Ireland went through almost £250,000 – over €300,000 – worth of printer toner in less than three years. The revelation comes just over a month after Dublin South Central Sinn Féin TD Aengus Ó Snodaigh was found to have used €50,000 worth of Oireachtas printer ink cartridges in just two years. Ó Snodaigh said last month that the amount of printer cartridges was “probably excessive” but said it was due to the fact that he sent a lot of information leaflets to his constituents. Email “SF politician runs up £16k bill on printer toner cartridges (yes, again)”. Feedback on “SF politician runs up £16k bill on printer toner cartridges (yes, again)”.